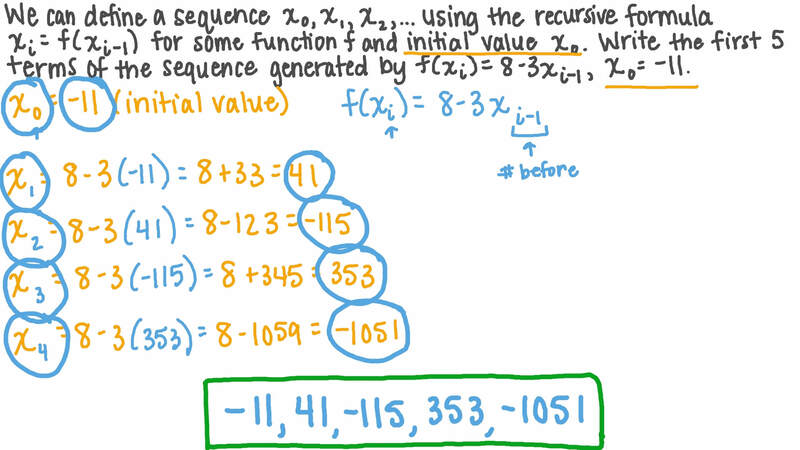 In this lesson, we will learn how to iterate a function to recursively generate a sequence. Given an initial value 𝑥 0 , we can iterate a function using the recursive formula 𝑥 = 𝑓 ( 𝑥 ) 𝑖 𝑖 − 1 . 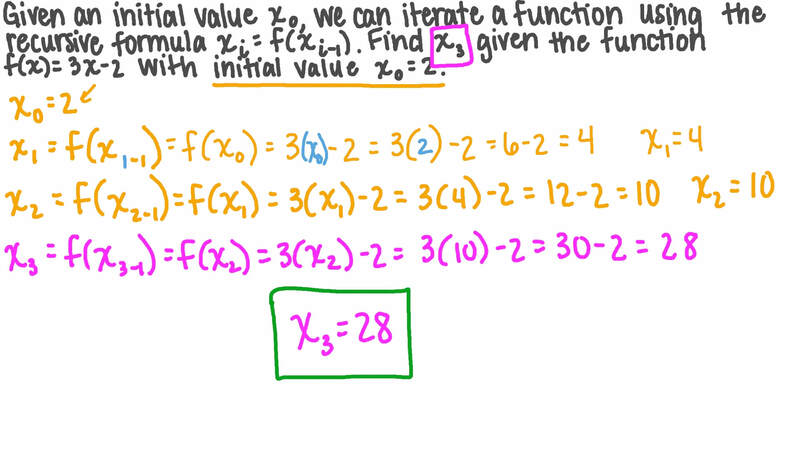 Find 𝑥 3 given the function 𝑓 ( 𝑥 ) = 3 𝑥 − 2 with initial value 𝑥 = 2 0 . We can define a sequence 𝑥 , 𝑥 , 𝑥 , … 0 1 2 using the recursive formula 𝑥 = 𝑓 ( 𝑥 ) 𝑖 𝑖 − 1 for some function 𝑓 and initial value 𝑥 0 . Write the first 5 terms of the sequence generated by 𝑓 ( 𝑥 ) = 8 − 3 𝑥 𝑖 𝑖 − 1 , 𝑥 = − 1 1 0 .